It is a suggested guide to try for learning the basic and understand which components needed for which work. Electronic components are essentially cheap and not everyone on this earth has huge money to spend to learn electronics. Here is how to play MP3 on Arduino with no shield, no SD card at lower bit rate for few seconds. What normally used for projects like our Arduino door bell is a buzzer. In this project, it is better to have a small speaker instead of a buzzer. Buzzer can deliver unexpected result. Basically an Arduino UNO is not really to play sound with a 16mhz microcontroller power to process and play sound at 64kbit or higher bit rate per second rate. Space on the microcontroller is also not huge, hardly around 64kb space will be available for a MP3. 0.5Watt 8 Ohm speakers are good enough. Any speaker actually works. Install that into your libraries. Then we need some application like Audacity which will make any Stereo Track to Mono, change the Bit Rate to 8000hz and export the File as “Other uncompressed files” (in case of Audacity change the settings to RAW (header-less) and Unsigned 8-bit PCM then export). This way, you’ll get a .raw file. This Article Has Been Shared 6414 Times! Securing Jumper Wire Connections Is An Important Part Of Breadboard Wiring. Prototyping Daugterboard (Prototyping Shield) Can Help Securing. 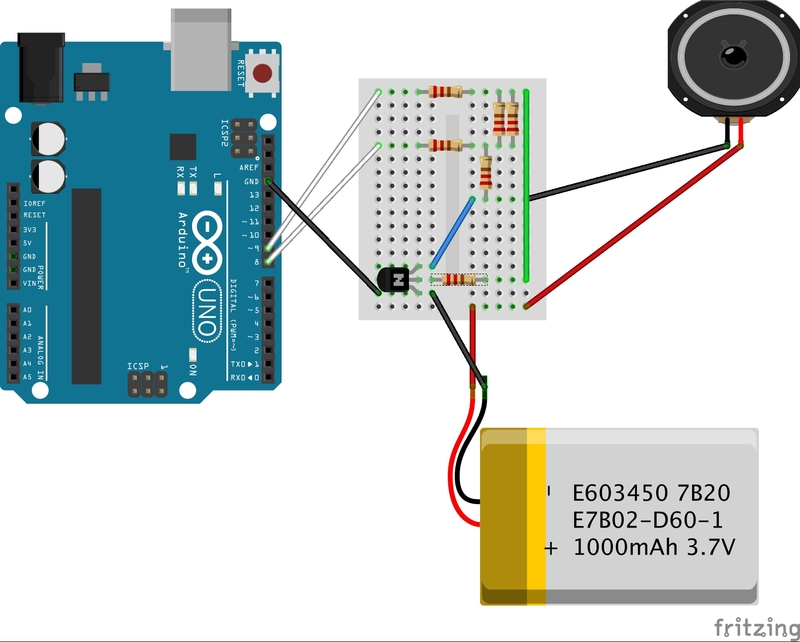 Arduino Wireless Electricity Transmission is a Complete DIY, Easy Project With Basic Electronic Components With Circuit Diagram And Code. Here is a Guide Explaining the Basics, Circuit Diagram, Code on Arduino and LED Bar Display. LED Bar Display is Actually Like Multiple LED. Here is Arduino Fingerprint Scanner Module GT-511C3 or GT-511C1R Buying Guide and Basic Details On Unknown Matters Around Fingerprint Scanner. Cite this article as: Abhishek Ghosh, "How To Play MP3 On Arduino With No Shield, No SD Card," in The Customize Windows, October 14, 2017, April 26, 2019, https://thecustomizewindows.com/2017/10/how-to-play-mp3-on-arduino-with-no-shield-no-sd-card/.